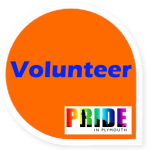 The Plymouth Pride Parade and festival is dependant on the support of a dedicated team of volunteers who help ensure the day is safe and enjoyed by all. We are extremely fortunate that we have volunteer support form a cross section of the Plymouth communities and businesses. However as the event continues to grow we need to keep building our family of volunteers. On the day (Saturday 13th August) we will need marshals for the parade that will depart from the Jigsaw Garden at midday (volunteers will need be there between 10 and 11am). We also need stewards for the main event on the Hoe between 8am and 10pm – please note that you do not have to do the whole day but it is important that we know your availability. 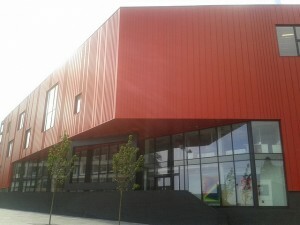 We will be holding two volunteer drop in sessions in the Foyer of the Theatre Royal for both existing and potential new volunteers the first will be on Thursday 7th July between 6 and 8pm the second will be on Saturday 9th July between 11am and 2pm. If you have volunteered for us in the past and wish to do so again please do try to pop in so we can ensure we have your current contact details etc. These sessions will allow us to share the plans to-date including the timings of key aspects of the event and discuss whats new for 2016 such as the bigger stage that will be built on the Friday before, the larger trailer bar and increase in the number of stalls. In the last couple of weeks before the event volunteers will be invited to one of two training sessions that will include an overview of the final event plan, responsibilities and event health and safety. It is at these sessions that we will finalise rotas to accommodate your availability. We are also set to launch the Pride in Plymouth Time Bank – this will provide a wide range of rewarding volunteering opportunities through the year supporting our on-going work in the city along with direct support to members of our community. Come along to one of the drop in sessions at the Theatre Royal or email us for more information. Please Note: We can currently only accept applications from volunteers that are 18 or over.